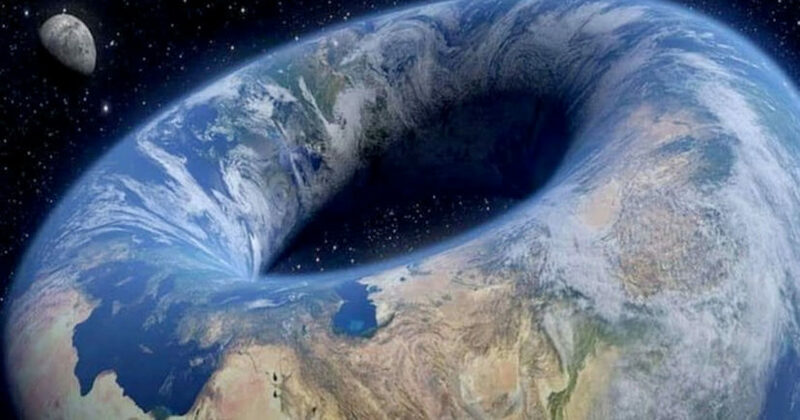 Not comfortable with the idea of our home looking like a vinyl record, Flat Earth Society member Varuag, has posed the possibility of the planet actually being more of a Krispy Kreme. ‘I was wondering how a theory like FE theory gets formed, and I came to the conclusion that someone must’ve thought of the original idea,’ they wrote. Radio waves are reflected by the atmosphere (hence why we don’t need to set up several towers to transmit radio waves across very long distances). Light waves are also reflected in a similar way. When we look across, the light diminishes as it travels, and by the time it reaches the atmosphere, it is diminished enough to be reflected. The light will then hit another corner of atmosphere and so on and so forth, curving every time. 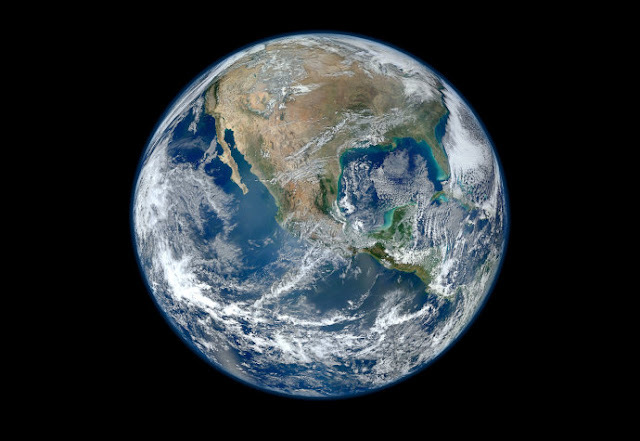 This gives the impression that the Earth is flat (or has a slight curvature). 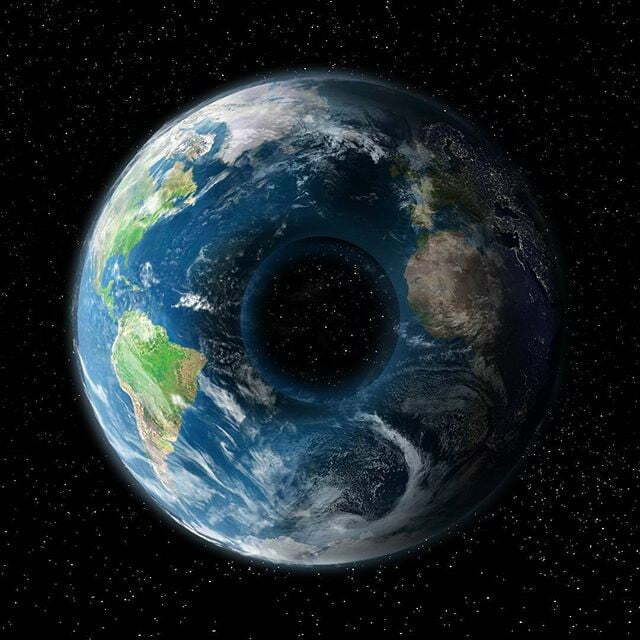 So, if I stand on the surface in the middle of the TE and look up, why can’t I see the opposite side of the torus, came the next inquiry. Varuag answered: When you stand in the middle of the TE and look up, the light passes through the first atmosphere it reaches. However, by the time it reaches the second atmosphere (the one to re-enter the atmosphere of the TE) it has diminished enough to be reflected, and gets reflected into space, so you see space. When asked how we have night and day, they said to lay a torch horizontal on a table and turn it on. Then to get a donut and place it on it’s side, with the hole perpendicular to the torch; the side which is illuminated by the torch is in day. ‘Over 24 hours, the donut performs one complete revolution,’ they instructed. ‘Spin it half way around, this signifies the passing of 12 hours. Is this all one big joke? I have no idea. If you don’t believe the above exists, click right here to read the thing in full.